One of the most beloved fairy tales of all times, the Brothers Grimm’s story was further immortalized by Engelbert Humperdinck’s lushly romantic operatic adaptation, expertly led in this broadcast by conductor Andrew Davis. 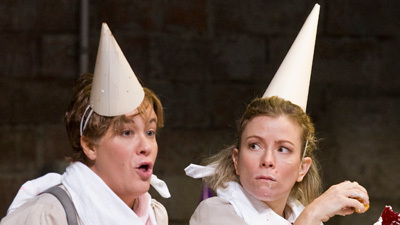 Jennifer Johnson Cano and Heidi Stober sing the title roles in this English-langauge version, with Robert Brubaker giving a tour-de-force performance as the evil Witch. Dwayne Croft and Michaela Martens are the siblings’ parents, and Carolyn Sproule as the Sandman and Ying Fang as the Dew Fairy complete the cast.